Million Dollar Marketer Will Build You a 5-Part Funnel to Sell ANY Product/Service/Affiliate Offer! 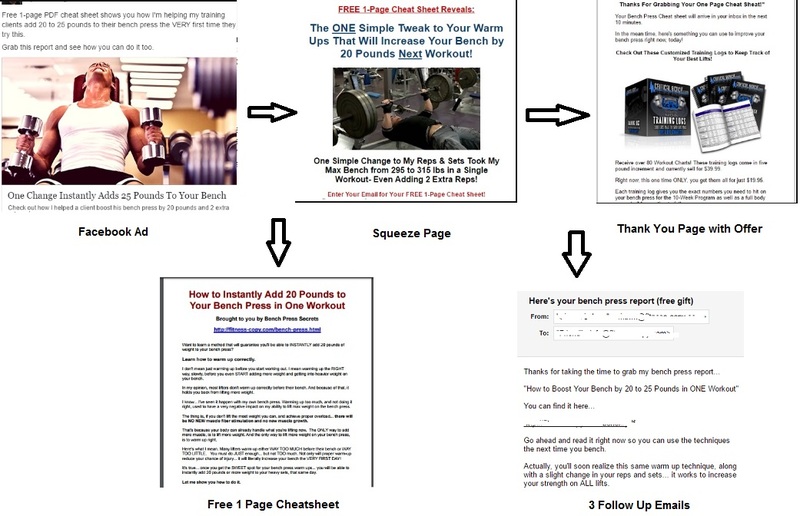 Use this "done for you" plug-and-play 5 part funnel to sell any product or service you own or you sell as an affiliate. All copy & content! "Let ME Do ALL the Work to Get You Online & Profitable Faster, Easier and for LESS. Use this 5-Piece Funnel to Start Making Sales of ANY Product, Service, or Affiliate Offer!" 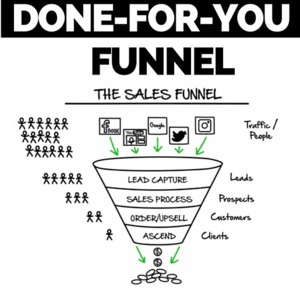 This "100% Done for You" funnel can sell your own product, service, or affiliate offer. It's based on my OWN 7-figure funnel. Get a Facebook ad, Opt in Page, 1-page PDF report, Thank you Page, and 3 emails written from scratch... saving you time, money, & effort that comes with trial and error. This is the FASTEST, easiest, & most profitable way I've sold online. Now YOU can use it to start making sales right away. 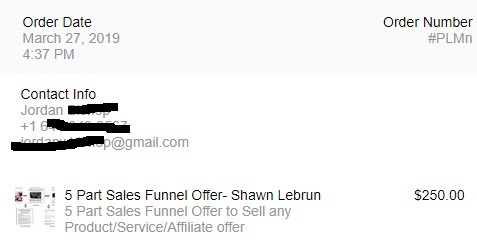 My name is Shawn Lebrun and I've been a successful copywriter, internet marketer, and online business owner for over 17 years. I'm proud to say I was named one of the 182 Greatest Copywriters of the Internet Age by Joey Bushnell and WebMarketingCircle. I've written copy for Chris Munch, Ewen Chia, Mike Dillard, Lee McIntyre, Russell Brunson, Maria Forleo, Ryan Deiss, and over 433 others. More importantly, my sales copy has done over 9 figures in sales (and counting) worth of products and services for myself and clients in the last 17 years. 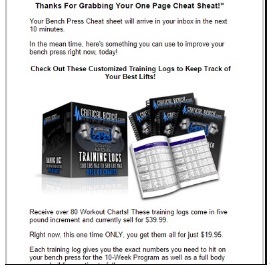 I have one sales letter STILL online that has sold over 25,395 copies of my "Simple Steps to Get Huge & Shredded" program. I've written 7 sales letters that are currently in the top 10 on Clickbank... including HowtoBreak80, EjaculationbyCommand, Critical Bench, and more. But over the course of the last 5 years, I've created and perfected what I feel is THE simplest, most profitable funnel that can sell anything. What's more... if you want to start selling a product or service faster and easier... this helps you do it WITHOUT going bankrupt trying to figure it out yourself! 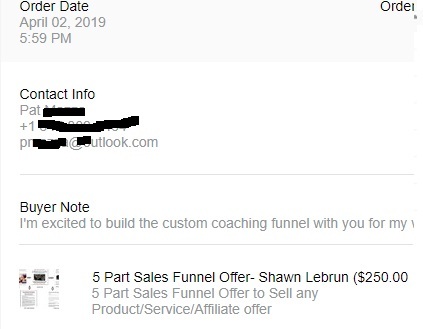 It's true, this 5-piece funnel gets you online & selling faster and easier... so you can have a profitable business EVEN if you've never had one before. If you currently sell a product or service but it's not doing as well as you'd like, this 5-piece funnel can boost your conversions and sales. What's more, this funnel can get you online and making sales in just days... EVEN if you don't have your own product or service. It's true, this funnel is PERFECT for affiliate marketers. I'll help you find a top converting offer on Clickbank that you can plug into the funnel I'll build FOR you! That means you can start selling online without needing a product or service! 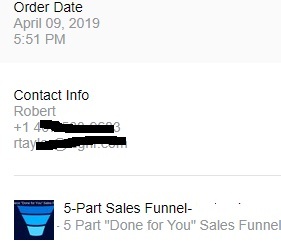 And when I say this funnel can work "right away", here's PROOF you can use my "done for you" funnel to start bringing in sales faster and easier! 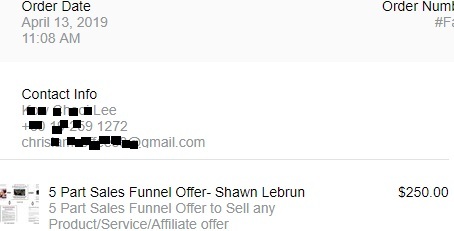 Jason ordered a funnel on April 15, 2018. 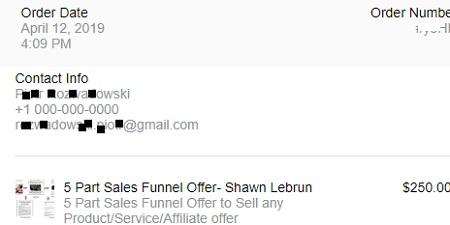 In just 5 days, Jason was able to get a complete sales funnel online and making REAL commissions with Clickbank. From Zero to $118 Profit in Just 7 Days is pretty fast, especially when MOST people go YEARS without seeing a single sale, profit, or penny online! Even better, he didn't create ANY product, he didn't create ANY content, sales copy, emails, reports.. NONE of it. 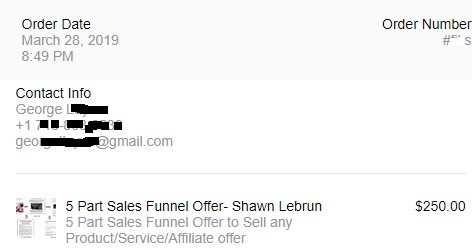 He took the funnel content I created for him, uploaded it to a site, and promoted the program I told him were converting well. And he was profitable the very first week! Here's a funnel I did for a client in December 2017. $350 in Profit Without Creating A THING! And yet another client took a funnel I made for him and is bringing in $400 per week in affiliate commissions. Dan Made his First Commission in 7 Days! Pretty cool, considering Dan didn't have to create a product, a Facebook ad, or any content or copy. He simply uploaded the funnel content I created for him. 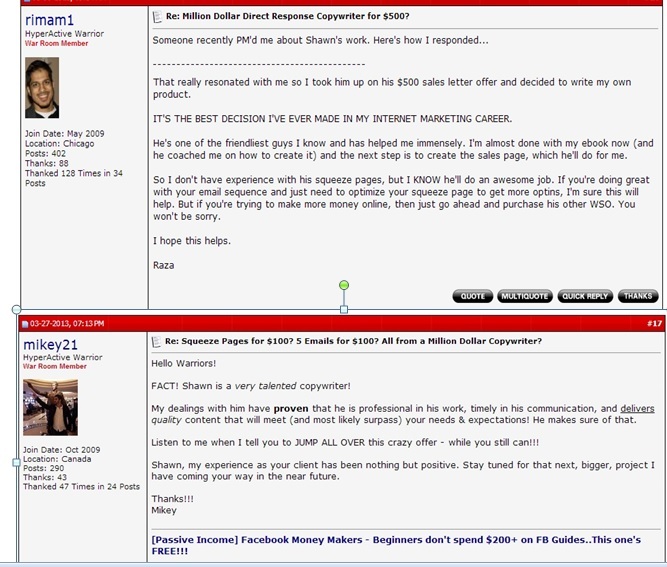 I even sold a funnel to the CREATOR of this forum, Allen Says! Allen was around when I started out back in 2002, he's one of the first I learned from... so it's an honor to help him create a funnel. First part of your 5 piece funnel is the Facebook ad. There's a way I create Facebook ads so they stand out and get noticed in a news feed FULL of noise. The first time I made this one tweak to my image, it boosted the average CTR of my ads from 30% to 87%! I'll create an effective ad that helps your product or service stand out in your prospect's Facebook feed... so it's SEEN and clicked by your ideal leads. Again, the Facebook ad I'll create for you is 100% customized for your offer. From your Facebook ad, we'll send people to your opt in page so you can collect emails and follow up. Believe me, if your squeeze page offers advice that your prospect can use instantly to see results... they'll be MORE than willing to BUY your main product. I'll create an opt in page that offers a piece of advice that your prospect wants so much, they can't wait to subscribe to get your free report. 3. 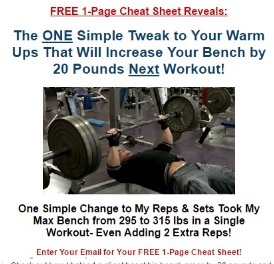 The 1-Page Free Cheat Sheet. After your prospect opts in to get the free report you're offering on the squeeze page, they'll get emailed their report. I've tested this for over a year. 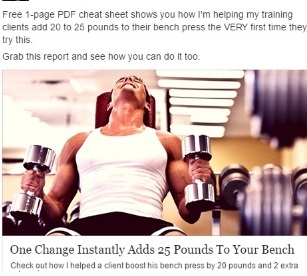 By FAR... a short 1-page PDF "cheat sheet" is getting a LOT more opt ins. The days of people wanting to read a 50 page report are over. They're too busy. But offer a 1-page PDF report that contains advice that helps your prospect see immediate results and they're more likely to BUY your main product. I'll create your 1-page free report so that it PRESELLS the product or service you're offering... increasing the odds of a sale. Here's where I'm helping clients recoup some of their Facebook ad spend AND increasing the average size of customers' initial order. For every $1 spent on Facebook, I'm getting $3.00 to $4.10 back for some clients. 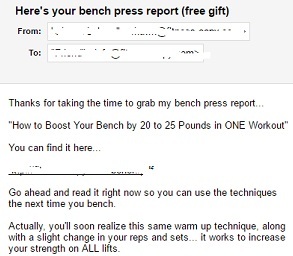 On the thank you page... which prospects see after they opt in to get the free report, we'll offer something they can grab NOW to give them instant gratification. I'll create a "Thank You" page that offers your prospect a highly desirable product that not only compels them to buy, it helps them get another quick win. Once your prospects opt in to get the free report, they'll get it by email, as well as 2 other follow up emails that sell them on the front-end sale of your main product. I'll write a series of 3 emails that builds trust and rapport with your prospect... moving them closer to buying your main product or service. There you have my 5-part, 7-figure funnel I'm using in my business and with clients to sell more effectively than anything I've EVER used . Because these 5 pieces work to provide advice that PRESELLS the main offer... it doesn't appear like you're selling. product or service and nurture them into going back to buy your offer. Here's the whiteboard of an actual funnel I'm running with a partner of mine. It's already hit 6-figures in sales and it's on pace to do well over 7-figures. It's bringing back $3 or more for each $1.00 spent on Facebook ads. 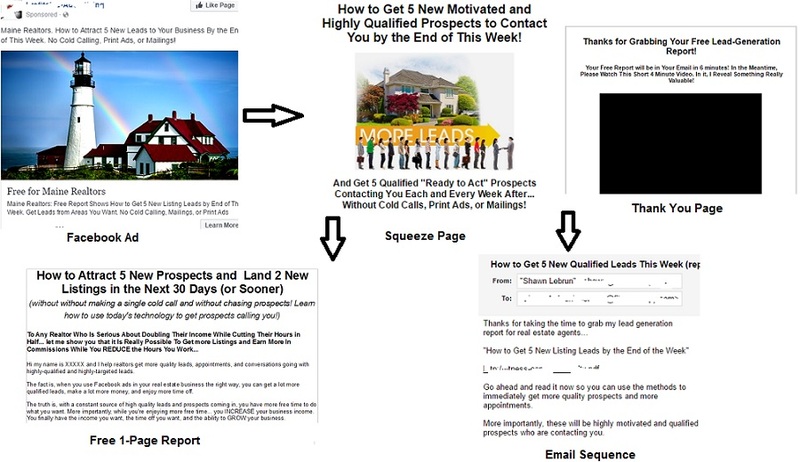 Here's another 5-part funnel I use at my ad agency where we get 2 to 3 real estate agents a week hiring us to get them leads. I'll Create Your Own Funnel That's "Plug & Play"! 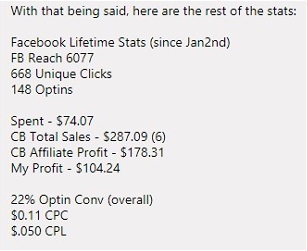 I'll create your Facebook ad using the same tweak and type of attention-getting copy I use to get 87% CTR and higher. I'll create your opt in page so it offers ONE actionable piece of advice and insight that your prospect wants to know and see results with. 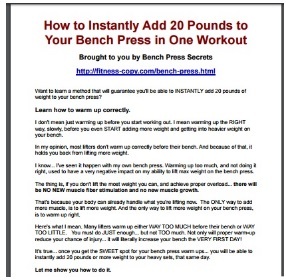 ** I'll create your 1-page PDF download. This is where we offer up one strategy or piece of advice your prospect can use to see results right away. When they use it and SEE results... it builds incredible trust and loyalty. They see you as the obvious choice. I'll set up your Thank you page to give a limited-time special offer they want because of the discount and because it is based on benefits they want to receive. We'll offer it as a massive discount for those who want to take action right away... so that it can help you recoup some ad spend. ** 3 Emails to Follow up. My series of 3 emails will build trust and rapport with your prospect and will continue the relationship so you move them closer to buying your main product. 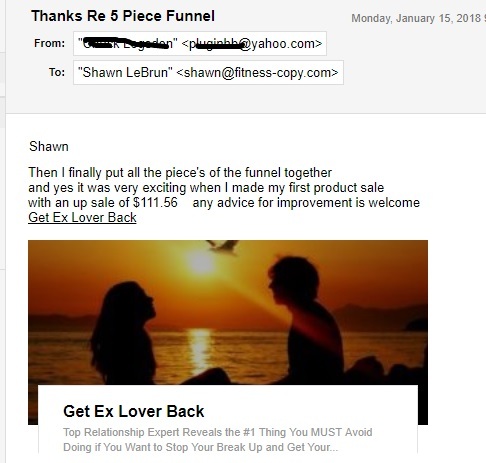 Get Your Own 5-Part 7-Figure Funnel! 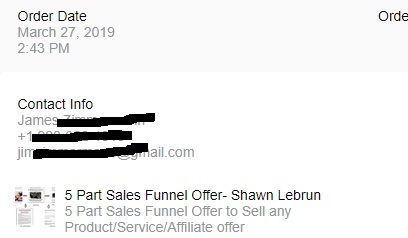 At just $50 for each piece of the puzzle, that's quite a value considering this funnel has done over $6.3 million dollars in sales this year. Your 5-part funnel can be set up to sell a product, service, or even an affiliate product you want to promote. If you need help finding a product to promote? Just ask, and I'll use my 19 years of online marketing and direct response experience to point you towards a great offer. And yes, every single funnel is 100% unique and custom made for YOU! 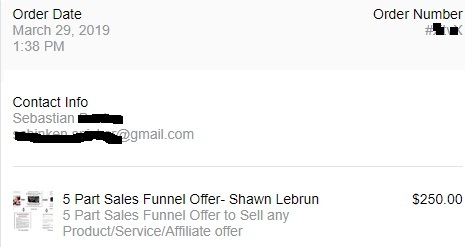 Your Facebook ad, the opt in page, the Thank You Page, the Free Report, and 3 emails... all of it is unique and custom made for you! If you're ready to grab your new 5-part funnel to sell your own stuff or affiliate products... this is the fastest and easiest way to get online and making sales! If you were to hire a good writer, it would cost you $200 for a GOOD Facebook ad. 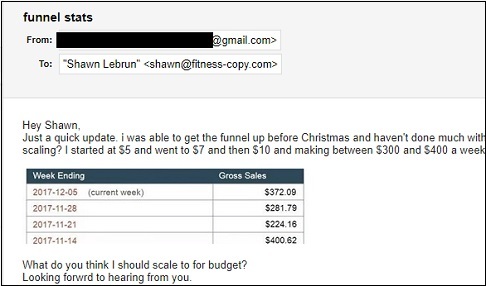 You'd pay $200 or more for a GOOD squeeze page, $200 for a GOOD "thank you" page, $200 or more for a good report, and $200 for a good email series. So, you'd pay at LEAST $1,000 or more. But, for the next 5 marketers who act now... 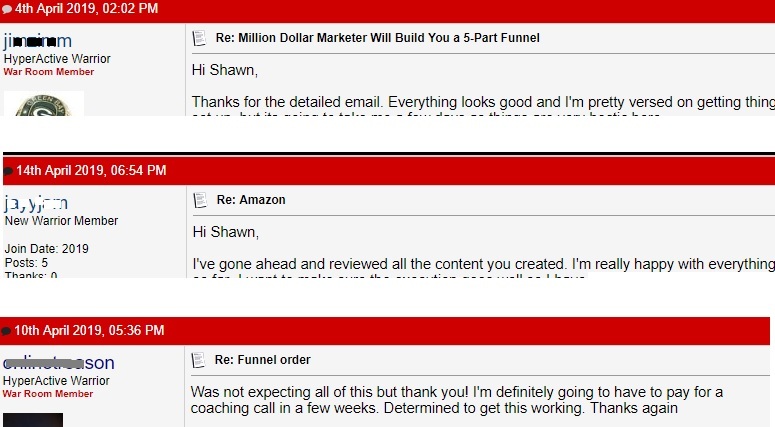 I'll create the same 5-part funnel I use in my 7-figure business... and I'll custom-build it all for just $250. Doesn't it make sense to invest $250 in a professionally done Facebook funnel that can help you start making money faster and easier? Look, if what you're doing right now is NOT working... this makes it so much easier because I create your ad, squeeze page, Thank you page, report, and 3 emails. This is a GREAT opportunity for you to quickly and inexpensively get a PROVEN Facebook funnel. You can skip the time and cost of having to do it all yourself. Not to mention, you're piggy-backing off my 17 years of copy and marketing experience. I also have 5 years of running over 2,000 Facebook ad campaigns and spending over $1.9 million dollars of my own money on Facebook. You can literally start selling tonight, using my Facebook funnel and marketing. If you're ready to skip the hassle of creating a funnel, order now and you'll be sent a short questionnaire that gets me what I need to create your 5-part funnel with 7-figure potential! All spots first come, first serve. P.S. I've been marketing online for 19 years, copywriting for 10 years, and creating Facebook ads for over 6 years now. 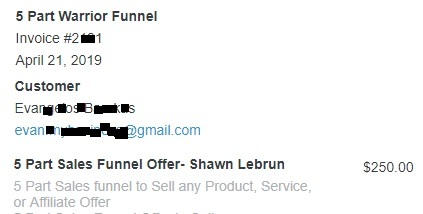 And not to sound cocky... but I can create profitable funnels for just about any product OR service in any market. Because no matter the market, product, or service... your sales funnel MUST follow the same formula. Grab your spot now, and all spots first come, first serve. Thank you for your order Evangelos! I can't wait to help you! Next available spot I have is for April 27... all spots first come, first serve. Thank you for your order Chris! Next available spot I have is for April 25... all spots first come, first serve. Thank you for your order Peter! Thank you for your order Rob! Next available spot I have is for April 17... all spots first come, first serve. Can u suggest some lucrative options / niche ideas etc etc? It's no problem if you don't have an idea of what kind of product or service to promote. I can give you my honest thoughts of what markets and niches are working NOW, which ones I've had success with myself and with clients. If you also need help choosing a product, no problem... I can tell you which ones are currently converting and which are not. I can also take a look at any possible product or web site and tell you if I feel it will convert/sell or not. Having been online for almost 20 years now, in just about every niche on Clickbank... I can often point you in the most profitable market and what to promote, just based on asking you a few questions. He'd give me a niche and I'd create a funnel based on the most profitable option. I've been online since 2001, on Clickbank and other platforms, so I have my finger on the pulse of what's working now. Will they be unique funnels? James... every single funnel is 100% unique and custom done for you. How long is your process from brief to delivery? Does it include web files? Turnaround time is 7 days or less from the start date, which I'll give you. 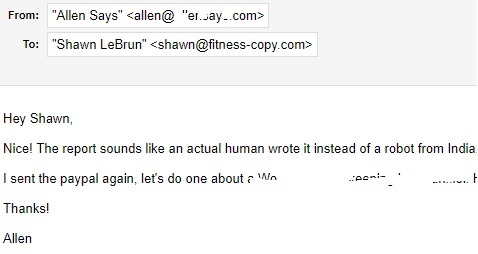 page, and emails are delivered as word documents. Do you help with Facebook targeting? work quite as well if the targeting wasn't nailed down. I have a few targeting criteria I use for all Facebook ads. Those who order, I'll have them follow that same criteria I use, which is based on finding the best qualified prospects we need to get our ad in front of. So, yes... I offer the strategies I use to get your ad in front of the most qualified prospects... so when you go into Facebook, you know what you're looking for, in terms of targeting. Assuming that I would need an autoresponder, website hosting,domain and the funds for facebook ads. And yes, the funds for Facebook... starting at just $5 a day and only scaling when you start making more than you spend. Facebook ads, targeting, etc... so that part isn't left to chance. For the niche, I can help with that too. 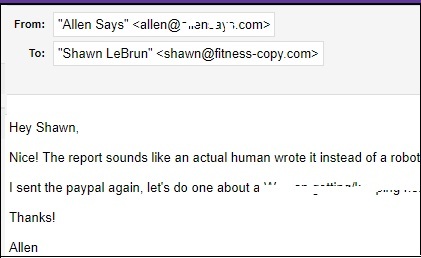 Hi Shawn, I might need your help choosing the affiliate product for me. Would you be guiding me on which traffic to use best? I just need a kickstart somewhere to generate income Asap. Thanks. Thank you for your order Pat! I can't wait to help you with your coaching funnel! Thank you for your order Sebastian! Thank you for your order George! making the kind of money you want online. piece of information in order to succeed. you want... you think it's because you don't KNOW what to do. making any sales or money. But here's the thing, information is NOT what's missing. "plug and play" 5-part funnel. valuable that you can offer. just sent you a pm, please reply..
if I can help them find an affiliate offer. the fastest and easiest way... just do this. to find a high converting offer for you. pre-sells people into buying the affiliate offer. I do all of that for you. 4. Go live and start selling. You order a spot and then let me take it from there. without you having to write any content. bringing in over $400 per week, all with affiliate commissions. From Zero to $118 Profit in Just 7 Days! without seeing a single penny online! emails, reports.. NONE of it. programs I told him were converting well. bringing in $400 per week in affiliate commissions. product, a Facebook ad, or any content or copy. He simply uploaded the funnel content I created for him. help you'll get from me, if you decide to move forward. You Get More Customers & Make More Sales! failure comes directly from your ability to attract and SELL to customers. that makes the most money. sell their products or services better than their competition. The key to selling more and making more? is the #1 ingredient' behind all successful businesses. and for keeping them is CRUCIAL to your success. in control of your destiny. have effective systems in your business. bad one (or a nonexistent one). Let's face it, we all have our strengths and weaknesses. how to improve your results. And that's where I may be able to help you. It's also why I offer these 5-part "done for you" funnels. Since everything is done for you, there's no more guessing.